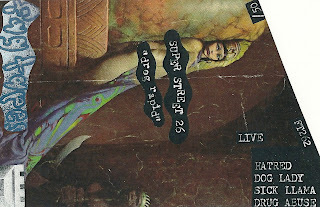 FAG TAPES: SUPER STREET 26 "DROG RAPID"
SUPER STREET 26 "DROG RAPID"
FT262 SUPER STREET 26 "drog rapid" cassette. All live comp. featuring: Dog Lady, Hatred (Nate Young), Drug Abuse, Sick Llama. 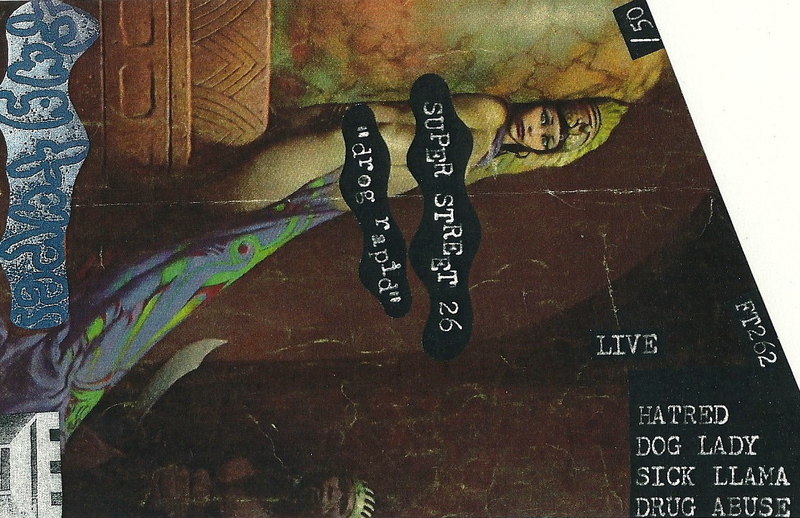 Amazing sets, last live performance by Fag Tapes super group Drug Abuse (Raven Strain, Sick Llama, Charlie Draheim, New Pledgemaster, Evenings) + solo sets from insane lost weekend shred tour. Edition 50.